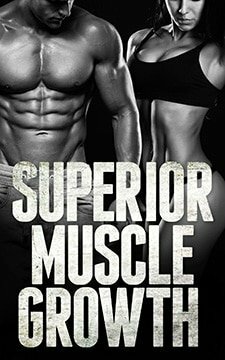 Let’s say your goal is to lose fat, build muscle or something similar. Let’s also say that in order to reach this goal as quickly and effectively as possible, you’ve determined that you need to do both weight lifting and cardio. Now let’s also say that you’re going to be doing both types of exercise on the same day as part of the same workout session. Well, many of the reasons you’ll typically see people give for doing cardio after weights involve stuff (e.g. hormones, glycogen levels, afterburn/EPOC, etc.) that is either insignificant in the grand scheme of things or just plain old myth-based nonsense. The truth is, what it really comes down to is just basic common sense. If you’re doing two types of exercise back-to-back, the one you do first will have some degree of negative impact on the one you do second. Yup. Like most things, there are always exceptions. 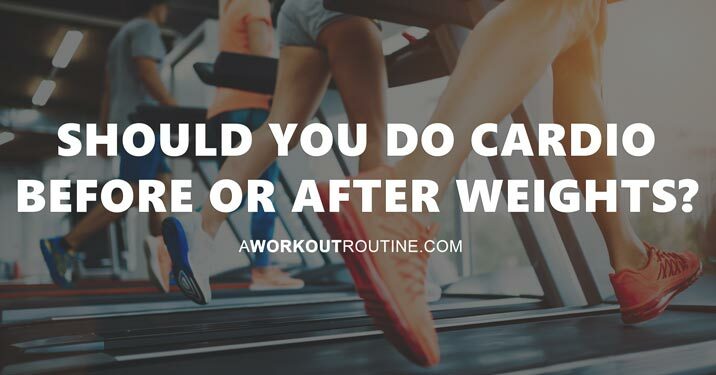 The main one would be if a person happened to care a lot more about cardio than weight lifting, or would just benefit more from it. Meaning, if their cardio performance was more important to their goals than their weight lifting performance. In a scenario like that (e.g. someone with endurance oriented goals), it can potentially make more sense to do cardio before weights. But keep in mind, of course, that this will be a much less common scenario. For the majority of the population doing both types of training in the same session, weight lifting before cardio will definitely be the ideal setup. A related topic you might now be wondering about is that of the cardio warm-up. This, of course, would be the short and easy aerobic warm-up people sometimes do before lifting for the purpose of raising their body temperature before beginning their actual workout. This is typically something like a few minutes of jumping rope, or a few minutes on a treadmill or bike. Should this type of thing also be done after weights? The answer is (obviously) no. Because this isn’t a cardio workout. This is a cardio warm-up. A cardio workout is typically done at higher intensities and for a longer duration of time for purposes like burning calories or improving endurance, whereas a cardio warm-up is just a few minutes of light activity for the purpose of literally warming up before the actual workout starts (and doing so without hindering your performance during that workout). They might both involve doing the same type of activity, but they are two very different things done in very different ways for very different reasons. So yes, if you’re going to be doing a cardio warm-up, that should still be done first. For Cardio, Is One Time More Effective Than Another? Alright, so we know that in the vast majority of cases, it makes the most sense to do cardio after lifting. That is indeed my recommendation. But, what about the timing of cardio in general? Does that matter? Is one time better or more effective than another? That’s a good question, and since the people who ask it are almost always doing so from the perspective of losing fat, that’s the perspective I’m going to answer it from. 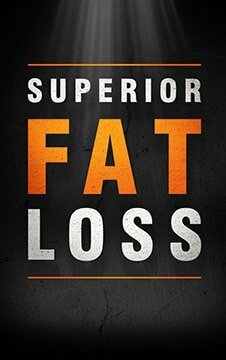 What matters most for fat loss is being in a consistent caloric deficit. So as long as you’re doing the same activity at the same intensity for the same amount of time… the same amount of calories will be burned regardless of when you do it. And if the same amount of calories are burned, the same size deficit will exist and the same amount of body fat will be lost. There is indeed some truth to the fact that your body burns more fat for fuel during fasted cardio than it does during fed cardio (source). The thing is… the amount of fat you burn during exercise isn’t what matters. What matters for fat loss is your overall caloric deficit over a span of days/weeks/months. Whether you happen to use slightly more fat for fuel during your 30-60 minutes of fasted cardio vs during your 30-60 minutes of fed cardio isn’t going to make any meaningful difference in the end. If anything, the only real difference between fasted and fed cardio is that the risk of muscle loss is likely higher when doing it fasted (sources here and here).